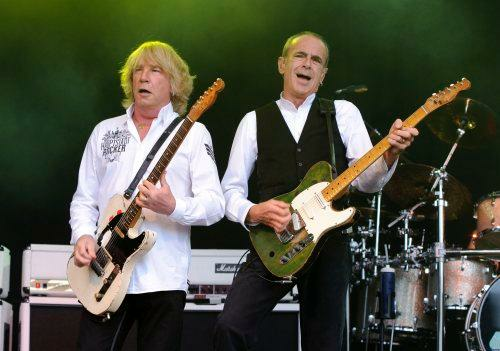 Francis Rossi has spoken properly for the first time about the loss of his Status Quo bandmate Rick Parfitt. The veteran rockstar appeared on Good Morning Britain today to speak about his old friend Parfitt, who died last December. "We were always together from when we were 16," he said. "In hotels we were always next door. We were always together." He also described Rick as a "flash git" when they first met, saying "that was just his way". "He was a very likeable man." Francis added that their friendship always got past any struggles: "I was with Rick longer than I’ve known my children. sometimes it would be fractious. If you’re together all that time that’s who you pick on. It never got to blows like we’ve seen other people in showbiz." Speaking about hearing of his friend's death from sepsis, having survived a heart attack months before, he said: "It was interesting, he died for us in June in Turkey and I saw the whole thing going on on the floor. It wasn’t very nice at all. "He got pulled off this bed, his feet were crossed and I don’t know why but I got down and uncrossed his feet while the medics were working on him." "That’d be Rick. We had that weird humour going on between us. Some people said I haven’t cried yet for Rick. I won’t. It’s just not what we did or how we were. We used to joke about the fact that he would go, when he would go, or I would go and how it would happen. "We would just sit there giggling, I suppose about the seriousness of it and yet to us it was funny."